DRU has released a new addition to its collection of contemporary freestanding gas stoves. Polo is an impressive 1 metre high stove with a square design, featuring a large glass viewing window and an authentic log fire display with high, realistic flames. There is a choice of interior finishes in black or mirrored Ceraglass and Polo has a heat output of 4.1 kW, making it suitable for a variety of rooms around the home. 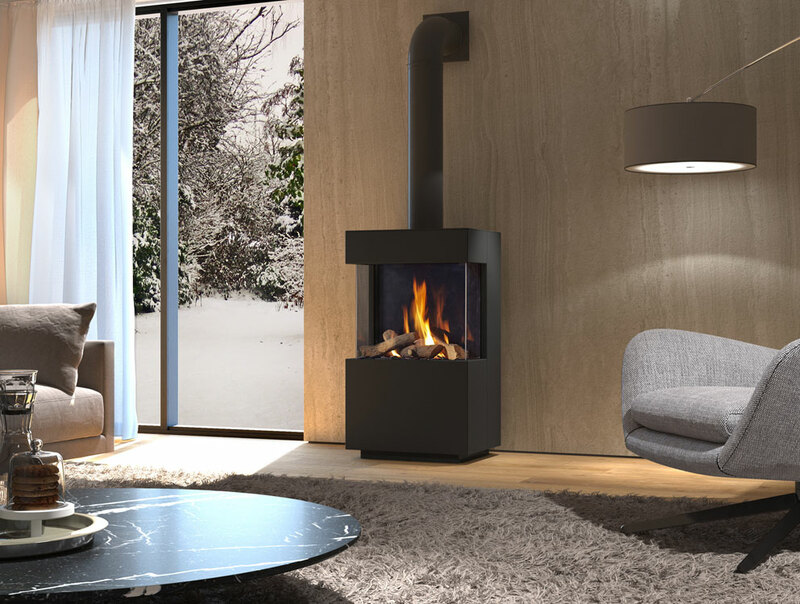 The balanced flue system of Polo means that it can be located anywhere in proximity to an outside facing wall, making it one of the most flexible gas fires in the DRU range. And with versions available in natural gas or LPG, it is compatible with urban or rural properties. Polo is now available from approved DRU fireplace retailers throughout the UK.